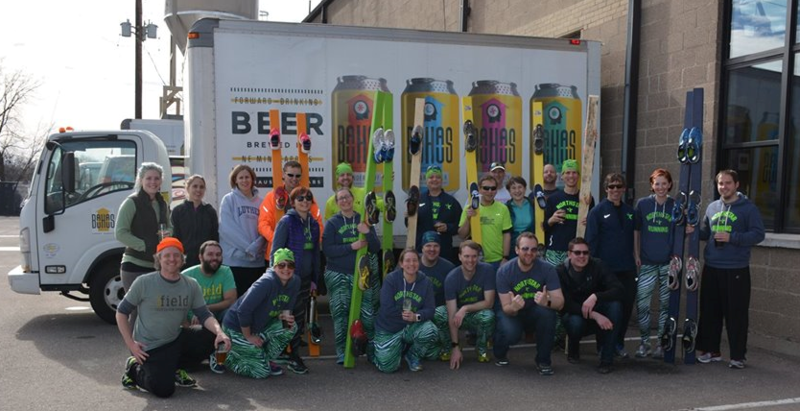 Northstar Running is excited to present the 2019 Twin Cities Smoosh Championship. 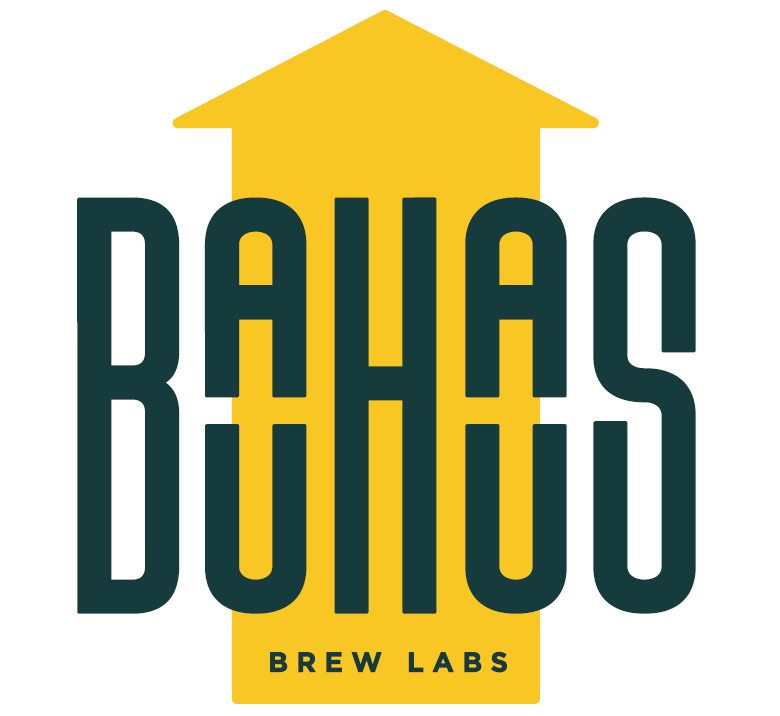 For the third year in a row, we are thrilled to partner with Bauhaus Brew Labs as the official race host and refreshment center before, during, and after the smoosh races. Northstar Running has also partnered with Children’s Hospital to make this a charitable event. All race entries will be donated to Children’s Minnesota. Who doesn’t want to smoosh race for a good cause!!! 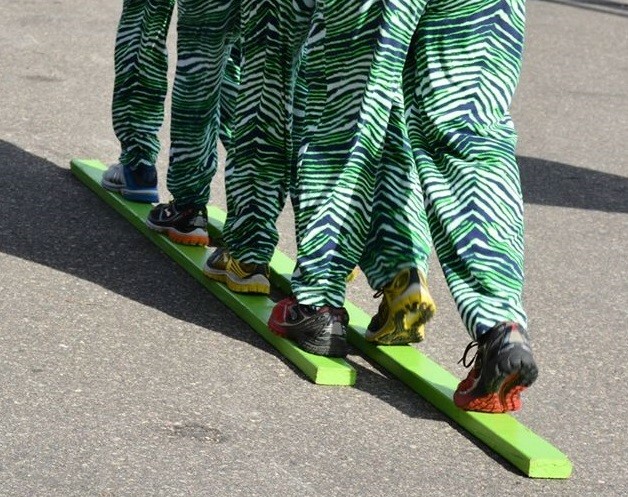 Smoosh racing consists of teams of four people, all wearing a pair of shoes attached to a set of two 2x4s. 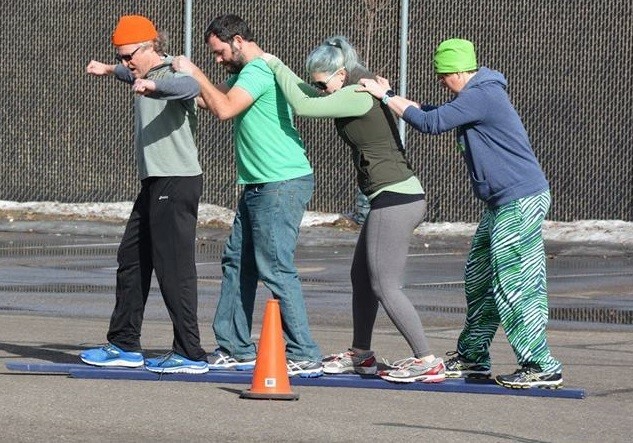 In head to head showdowns teams race approximately 50 yards down a straight course, turn around a pylon, and race back to the start. The goal is to work together as a team to complete the course as quickly as possible. Anything can happen in these races, with excitement right up until the finish! Talk about a great winter team building activity! The winning team will receive the 2019 Smoosh Award, and more importantly, bragging rights for the year! Round up your friends, co-workers, teammates, or family and join us for a fun morning of smosh racing and socializing. Entry $20 per team ($5 per individual). If you are unable to find 4 people willing to participate, please contact runners@northstarrunning.com; we may be able to help you fill out your team. 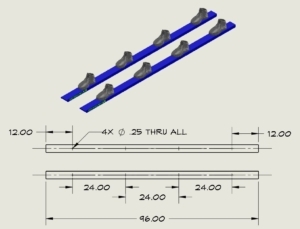 If you are unsure how to build smoosh board, please contact runners@northstarrunning.com; we are happy to help you. We will have a basic repair kit on race day for any adjustments or fixes you may need to make to your boards on race day. All racers must be at least 15 years old. All racers (and a parent if under age 18) must sign a liability release form prior to participating. 2x4s must be 8 feet long. Bottom of 2x4s must be natural wood – no paint, cleats, traction, wax, grooves, etc. Racers can attach their feet to the 2x4s in any manner. There must be at least 4 feet attached to each 2x4. Teams must have 4 racers in order to compete. The sides and tops of the boards can be decorated as long as the decorations don’t aid in racing. It’s highly encouraged to decorate your boards. Get creative and have fun! The race winner is the first team to go around the cone and back. The entire smoosh board must cross the finish line, not just the first person. The tournament format will be as follows. Each team will be randomly assigned to one of four groups of teams. Each group will compete in a round robin style pool, with each team racing all of the other teams in the group. This guarantees your team will get to race at least three times. The winner of each bracket will face off in a randomly seeded single elimination bracket. It’s helpful to have a team captain in the first spot on the boards to set the cadence, and to call out turn, start, stop, etc. Attaching shoes to the boards with screws or bolts is efficient. Add as large a washer as possible when attaching shoes to the board. This helps keep the bolt or screw head from tearing through the bottom of the shoe.